How can you rise from the marketing ashes and learn to fly high again? Content marketing delivers where traditional marketing falls short, creating a new environment for change and a clear direction. 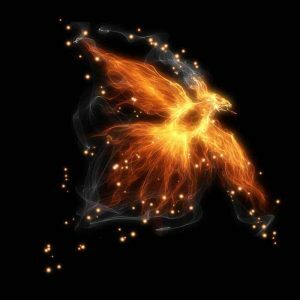 We like to call content marketing the ‘phoenix’ model of marketing because it offers a chance for marketing to regenerate in a new form. Traditional marketing focuses solely on selling products or services, but in contrast, content marketing centres on communication. The idea is to put communication first and to think about sales second. By providing dynamic, well-written content, companies can re-energise their marketing campaigns and become contemporary and relevant. If you get your content marketing strategy right, leads and prospects will inevitably follow. So spread your wings and don’t be afraid to fly! The trick to successful content marketing is to offer interesting, useful and entertaining content across a variety of media. By offering quality content you can generate a loyal and engaged following, which will eventually translate into new business. Don’t go down in flames; be reborn in a shower of sparks! Create content and let it fly! Content can be created in any form, and the more diverse the content, the better. Content can be made up of blogs, articles, stories, images, podcasts, infographics, polls and video clips. Businesses need to distribute this content across a broad spectrum of platforms including social media, blogs, content sites and sites such as YouTube. Ruffle some feathers and get yourself noticed online. In order to succeed, businesses need to escape the climate of marketing fatigue that is causing potential clients to switch off and look away. Content marketing can help you to rise like the proverbial phoenix from the ashes and give flight to your marketing campaign. If you would like to find out how Love Letters can assist you with your content marketing, you can contact us here.